The San Elijo Surf Team is a middle school surf club & competitive surf team. The surf club is for those who already surf or body board and want to improve their skills (This is not a learn to surf program). The surf team is for those that surf/ body board at a competitive level. Both (club and team) are run by an all volunteer staff and a SEMS factulty adviser. We are always looking for volunteers to help out in the water and on the beach. Please send us an email at sanelijosurfteam@gmail.com if you would like to volunteer. See our FAQ page for additional info. 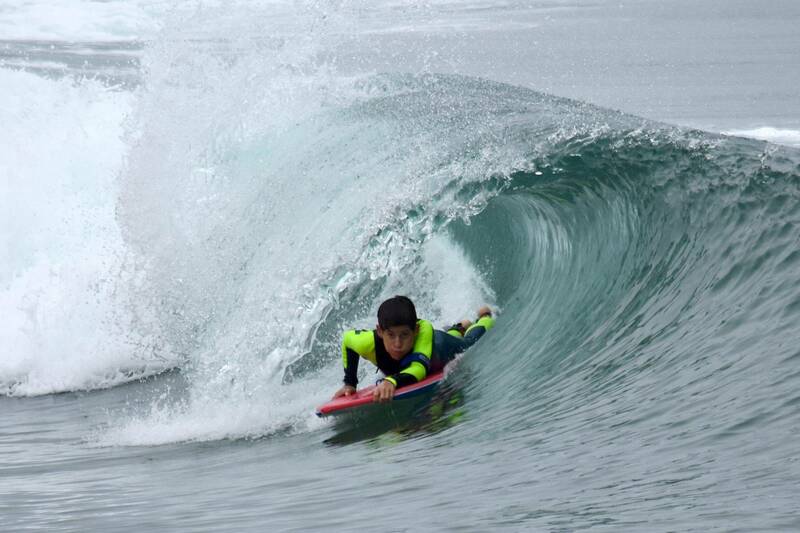 The surf team participates in the Scholastic Surf Series against other San Diego Division 1 middle school surf teams. Scholastic Surf Series provides the platform for middle & high school clubs & teams to exist. Click here for more information about Scholastic Surf Series. It is our mission to help our members develop a passion for surfing, improve their surfing skills, teach surf etiquette & ocean safety, and promote the spirit of Aloha. Thank you for visiting our site! Please contact us at sanelijosurfteam@gmail.com if you have any questions.